President Muhammadu Buhari has met key leaders of the All Progressives Congress to douse tension ahead of Tuesday’s National Executive Committee meeting of the party. 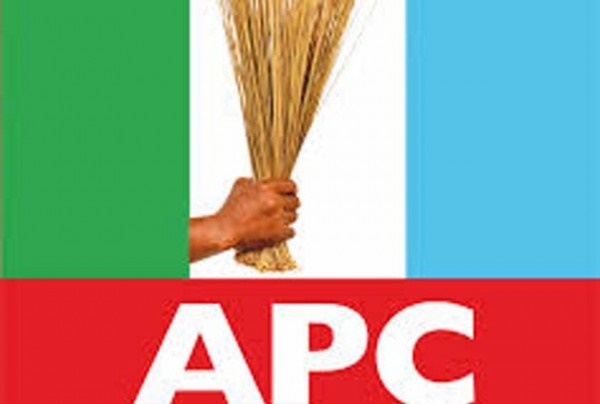 The much talked about National Executive Committee (NEC) meeting of the All Progressives Congress (APC) is scheduled to hold on Tuesday, October 31 at the party's National secretariat. The meeting is the third meeting of the body since the inauguration of the APC led federal government with the last meeting taking place in March 2016 against the mandatory quarterly meeting. The NEC meeting has been postponed on two previous occasioned after invitations had been sent out. Those who are statutorily expected at the NEC meeting are - President Muhammadu Buhari, Vice President Yemi Osinbajo, Senate President, Bukola Saraki, Speaker, Yakubu Dogara, Deputy Speaker Suleiman Yusuf Lasun, members of the National Working Committee and their deputies, Leader of the Physically challenged, Zonal Secretaries, zonal organizing secretaries, zonal women leaders and State Chairmen. Others include: state governors who are members of the party, Majority Leader, party Whips and their Deputies in both the Senate and House of Representatives, two serving Senators from each of her six geopolitical zone, three members of the House of Representatives from the six geopolitical zone, six ex-officio members and Serving Chairman, Deputy Chairman and Secretary of the Board of Trustees. Article 25 (B) of the party constitution states that the National Executive Committee shall meet every quarter and or at any time decided by the National, Chairman or at the request made in writing by at least two third of the members of the National, Executive Committee provided that not less than 14 days notice is given for the meeting to be summoned. The quorum for the meeting, according to the APC constitution shall be one-third of its members. 1. The meeting may deliberate on the crisis in various states of the federation with a view to rectifying or upturning the suspension of some members of the party such as National Legal Adviser, Muiz Banire, Deputy National Publicity Secretary, Timi Frank, Senator Shehu Sani and Chairman of APC in Bayelsa state. President Buhari on Monday met key leaders of the party to douse tension ahead of today’s meeting. Party leaders who spoke with Bounce News in confidence said that the meeting is crucial to the survival of the party. The growing discontent in the party also found expression in last weekend’s outburst by one of the president’s close associates, the Comptroller-General of the Customs, Col. Hameed Ali (rtd), who lamented that the administration is increasingly losing grounds due to the infusion of people who did not share its vision. Ali had said: “Let me say here without fear of being contradicted that I think half way through the journey, we are losing our core values. We are losing our vision and mission and I think that the idea of our being here today is to look critically at what we need to do to get back on track. “There is no doubt that we have derailed because we are not doing what we say we want to do. Why is it so? We need to find an answer to that. If we do not find answer, then what should we do to get us all back on track?